Is your organisation getting maximum value from its business improvement effort? For businesses reliant on heavy industrial assets, an effective business improvement program focused on people, business process, technology, and overall operational improvement can significantly improve plant availability, utilization, production rates, and process efficiency while reducing the requirement for long-term capital costs. Such a model also has significant potential to deliver increased shareholder returns and other benefits to the wider stakeholder group if implemented correctly. Businesses in capital-intensive industries such as mining, oil and gas, rail, utilities, petrochemicals, airlines and others face a common challenge: how to increase the utilization of their particular assets and overall operational performance while still keeping costs under tight control. The objective is all about utilizing your assets to the full to maximize production or service throughput in order to deliver increased revenue and improved profitability for the corporation. After all, this is why we are in business. Firstly, do I really need a business improvement initiative? Is your site running at 65% of its capacity, daily production is highly variable and struggling to reach budget every month? Is it always playing catch-up while juggling 250 different projects that try and address the shortfalls in production but nothing seems to have any major impact? Maybe the organisation tries to fix every problem with a capital project, or maybe there are a number of pet projects that get priority but they don’t really have any impact on production. Do you have 25 maintenance and reliability engineers and none of them work on any improvement projects? Or perhaps, if you’re being honest, there is a lack of general awareness and therefore both obvious and more complex issues are not being addressed at all. If any of those scenarios describe your operation, you have huge improvement potential! It’s time to take hold of that fact and start making progress. Business improvement or continuous improvement is a part of your overall effort to optimize the use of your assets and it is a systematic approach to help the organisation optimize its operations to achieve more efficient results. Simply put, business improvement is the act of improving the condition and performance of a business. It can involve a wide range of activities such as improving production throughput, saving cost, improving quality, or any other change or transformation that makes the organisation perform better in some aspect. Having said that, the biggest value in an operation is usually derived from improving your actual production throughput, or produce the same output more reliably and in a shorter time frame. It is important to remember that business improvement is an ongoing effort that can never stop. There is always room for improvement, even if you think you are doing really well. For a mining organisation, it is about making a whole organisation or a single producing mine site more “robust” and able to handle the internal and external shocks that could hit the business or economy at any time. It has never been more important for a mining company to work with business improvement and make it count. Most mining companies (and other industries…) have strategies in place to lower their cost per unit to make them more resilient to swings in commodity prices and general global uncertainty, but they may not have the best processes and systems in place to support them. An efficient business improvement framework and supporting IT systems is crucial in achieving the desired results. Many companies struggle to derive any major value from business improvement initiatives. As a consultant in the mining industry, I have seen this over and over again. There is a range of different reasons for these business improvement failures and I will highlight the most important ones here. The first reason is the wrong organizational setup. If there is a business improvement team at all, they probably report to the wrong department or manager. If there happens to be an established team, they might not have enough resources. They might have the wrong experience and skills, the wrong understanding of what is most important, or they just haven’t been trained adequately to perform to set expectations. The second reason is missing business processes. In most cases, there are no documented processes for business improvement or how to run small projects, and no documentation on tools and methodologies. So where are these issues discussed, what language is used, what tools and methodologies should be used? How do we actually solve problems and make sure we have found the real cause? How are all potential opportunities for growth valued and prioritized? If there is no guidance on this, how do you know you are working on the right things and do it the right way? The third reason is poor system support. If you are relying on completely manual intervention or use a semi-automatic system to monitor and identify key operational issues in the plant or mining fleet, you are at a direct disadvantage. In addition, most companies manage the business improvement opportunities and projects defined in Excel spreadsheets, and in many cases, in several Excel spreadsheets. At some sites there might be several spreadsheets managed by several different departments and by many project managers outlining some 150 projects. The visibility with this method is greatly stymied. How do you really know what is going on? How do you know what is most important and should have priority? It becomes almost impossible to identify, target and manage the most important and high-value improvement opportunities. The fourth reason is minimal management commitment. Even though all parts of a business improvement framework are in place with the best intent, if there is no real executive management commitment there will only be limited improvement. If executive managers are content with achieving a set budget, don’t ask for any improvement and don’t constantly challenge an operation to improve production, there will be none. It can become habit to always be too busy with the “problem of the day” and not spend the time necessary to follow up on value delivery from business improvement efforts. If no-one is asking for results, people will stop trying to deliver it. There is a variety of considerations to make when implementing a business improvement framework. Process Orientation: define and document all required business processes for business improvement overall, tools and methodologies, problem solving and small project management (most improvement projects are usually considered small to medium sized in nature). If it is not documented in some way and mandated, it probably won’t happen. Standardize: develop a standard business improvement organisation, the same business processes across all operations and for all accompanying tools and methodologies. Define a standard language and metrics so everyone can understand what you are talking about. Choose what you think is right for your organisation, standardize, roll it out and run with it. Even if the framework is not perfect, it is better to be using it and get some improvement than doing nothing at all. Implement software: use technology in the form of an IT solution that automatically identifies and priorities production issues. 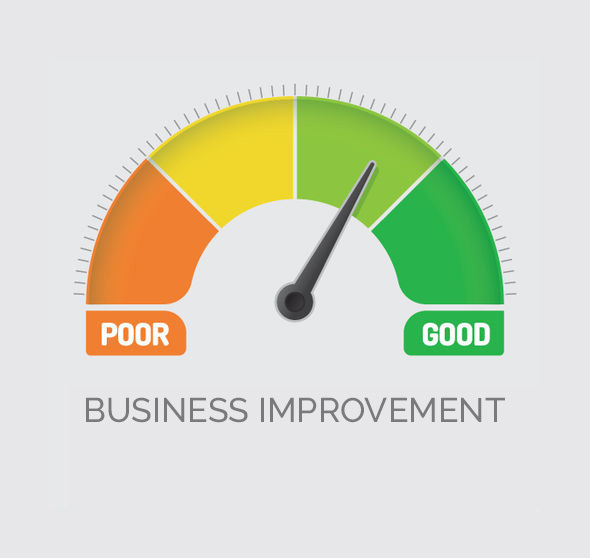 It should also be able to monitor and manage identified business improvement opportunities. Technology needs to be able handle automatic identification of issues, automatic and manual prioritization of opportunities, and automated operational reporting via dashboards and reports. Critical information needs to be disseminated automatically to the right people at the right time. Also, make sure your business improvement professionals have access to software that help them investigate and solve the actual problem. To learn more about our software solution, visit the Optimum Software Platform. Consolidate Opportunities: Improvement opportunities are all managed in the one spot for all business improvement projects. To have complete visibility over projects and be able to manage these efficiently through task assignment, automatic emailing, follow up, reporting etc. is critical to deliver actual value. Train Personnel: make sure all personnel have an “improvement mindset” and are aware and capable of using the standard processes, methodologies, tools and software to help them successfully execute improvement initiatives. This especially applies to resources hired to do business improvement activities full time. Take Action: facilitate and demand a consistent use of defined business improvement tools and methodologies as a key driver for improving effectiveness, profitability and sustainability. You can have the best information in the world telling you what your issues are but if you don’t do anything based on it, i.e. take some action, there would be limited improvement if any. "The key to success is to automatically identify, prioritize and connect the most important improvement opportunities in an operation to a framework that supports the management and execution of defined improvement opportunities, and provides efficient monitoring of progress and achieved results." If executed correctly a business improvement program will deliver a true step change for your organisation. It requires a good understanding of what you want to achieve and how to achieve it through processes, people, technology and real commitment. All parts need to be in place in one well-defined business improvement delivery model. One last thing, try and keep it as simple as possible. If you make the framework too complicated, you might still struggle to get the most out of it. Mats Agby, is a business improvement professional with over 15 years’ experience in designing, developing and deploying business improvement solutions for mining and other industries. He has successfully implemented multiple business improvement projects that use software like Optimum and related business processes to directly address these industry specific challenges. Read Mats' other article, Mining Fleet Optimization and OEE, to learn how to achieve Mining Fleet Optimization with the OEE metric.